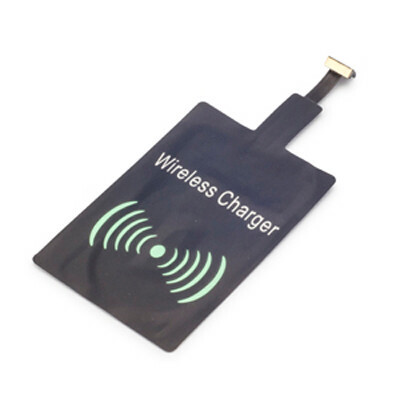 Features: Easy and convenient to use, the universal wireless charger receiver can be simply plugged into any smartphone without a built-in receiver for wireless charging. Available with Micro USB, 8Pin or Type-C connectors. Material: High Quality Copper, Paper.. Certification: CE, FCC, RoHS. Product Colour: Black (Micro, Type-C), White (8Pin). Product Size: 102 x 46 x 1 mm. Delivery: 2-4 weeks (indent) from art approval. Standard Packaging: PE Bag. Packing Details: 500 pcs per carton, 12 Kgs, 46x28x25 cms. Setups: Included.